Budapest-Hungary, it would have been a mistake to visit the poetry of Danube. Walking along the river, you will encounter many historical works, light blue water. When the riverside road meets Szechenyi Street at a crossroads, in front of you is a famous Holocaust memorial: Danube Boats. Those are made of iron, rust is attached to the river. 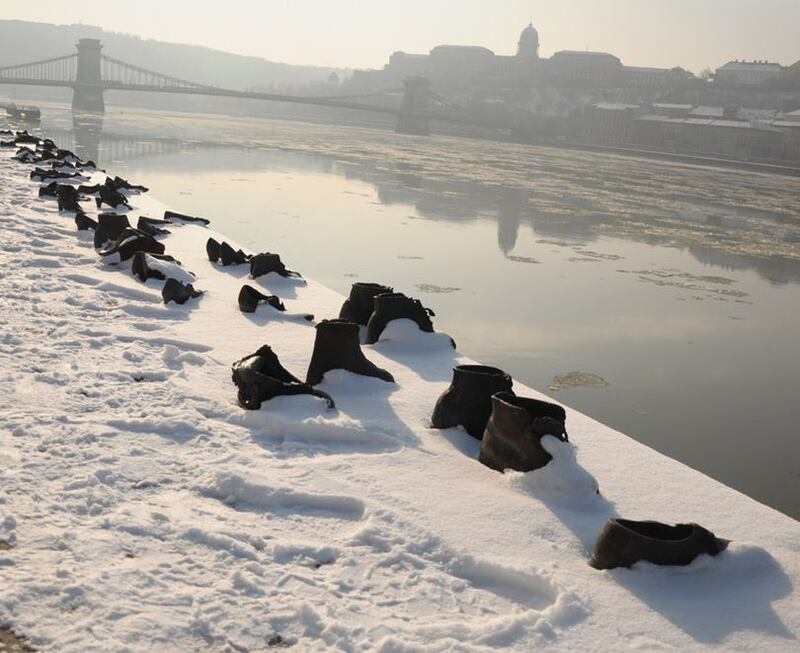 The iron shoes are the most eloquent witness to a painful past of Budapest during World War II. 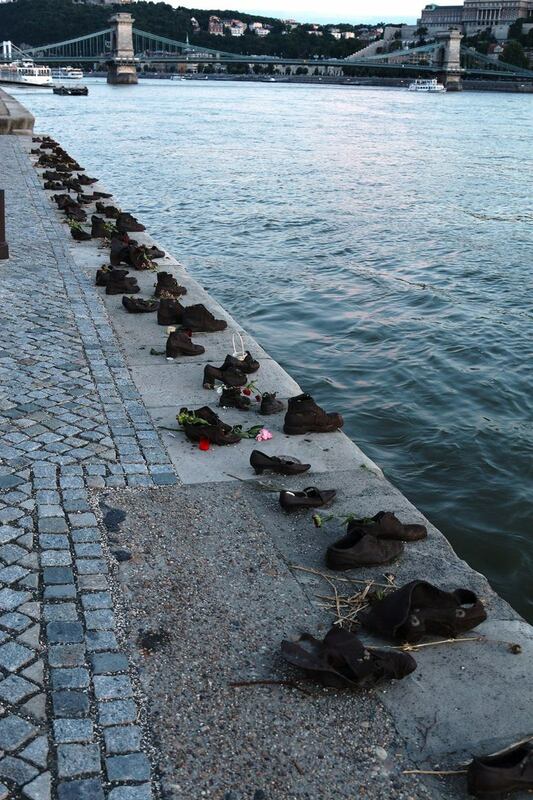 People come here and still feel a little sadness evoked from the tragedy of the Jews in the winter of 1944-1945. 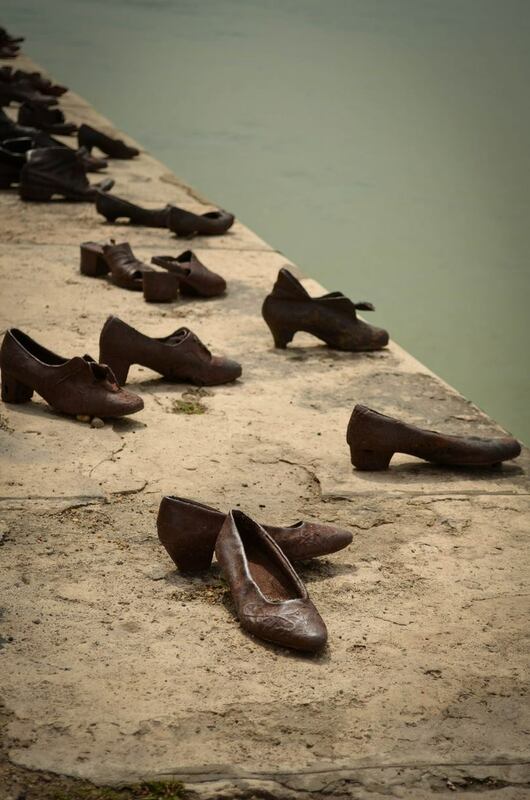 The heartache still engraved in the hearts of the people of Budapest: so many Jews were tied together, shot on the river bank before the bodies drifted down the cold water. 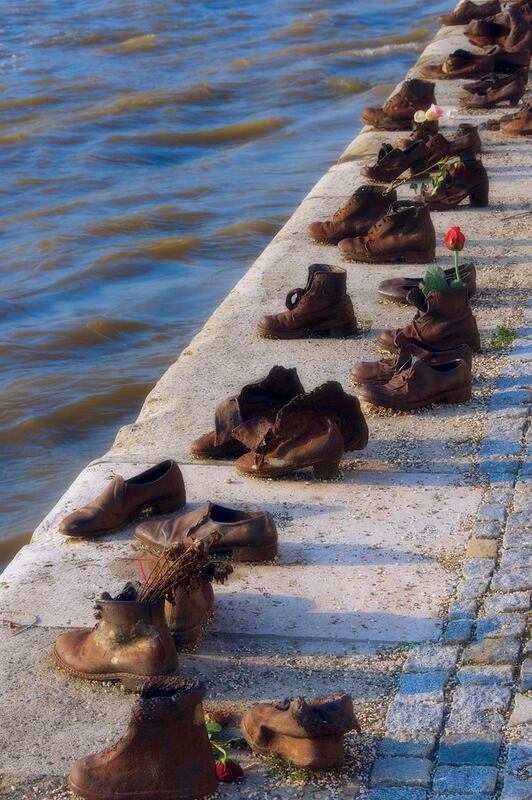 But it was not the only group of people who had died in the Danube. The killers said that throwing the body into the river was the most convenient way when the river would carry the victim's body away. Typically, victims are shot to be asked to remove their shoes. 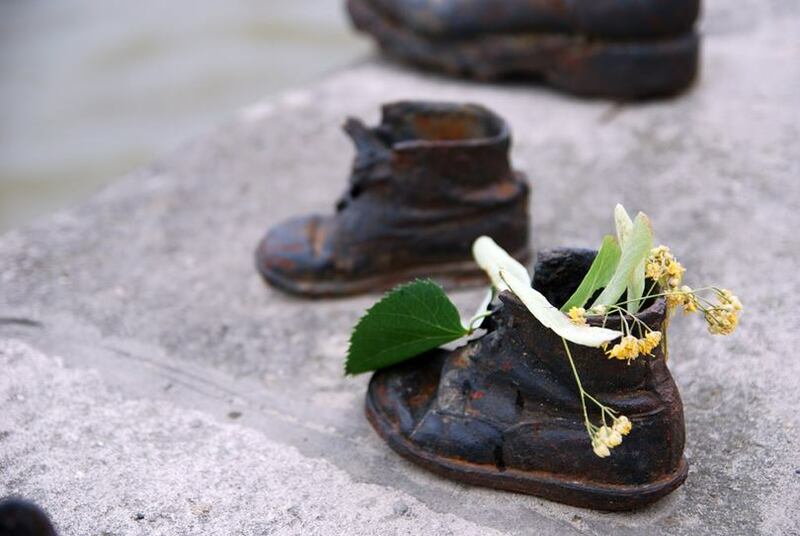 In the war years, shoes are a rare commodity. The Jews also understand this, so they will sell their shoes on the black market or keep them by their side. By Danube River, regardless of young or old, they will all be shot before being pushed down the river. More evil, there are groups of people who are forced into each other but only one person is shot. When a person is shot down the river will drag the other person, throated in the water and then go forever. 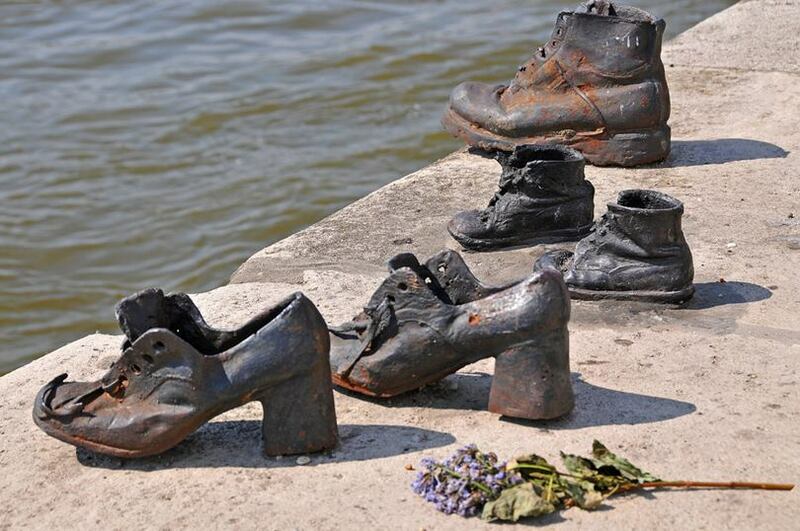 At that time, the Danube was called the "Jewish cemetery." 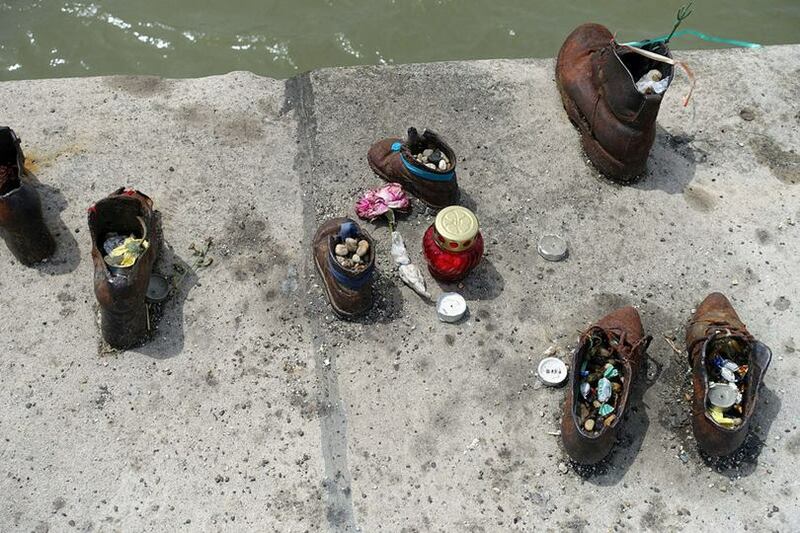 Memorial to the shoes by the river Danube was inspired by director Can Togay. He and the sculptor Gyula Pauer erected them in 2005. 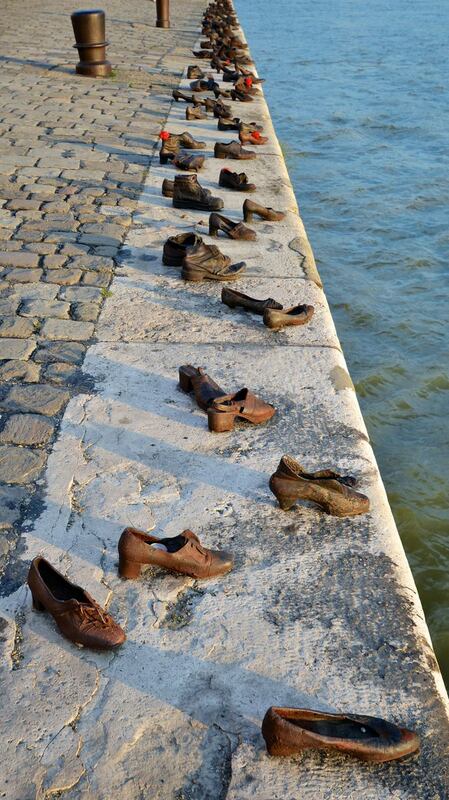 Along with the shoes are signposts in three languages: English, Hungarian and Hebrew. 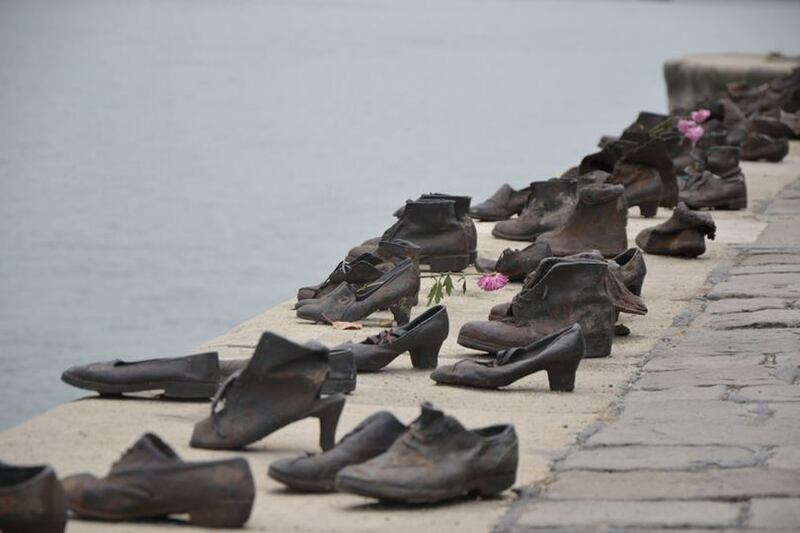 "To commemorate the victims of the Danube River shooting in 1944-45, commenced on 16 April 2005". 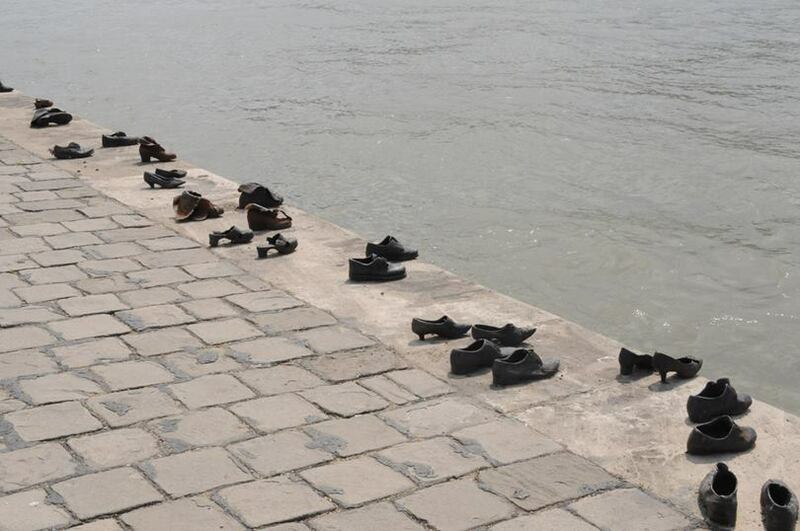 A total of 60 shoes were erected on the banks of the Danube. 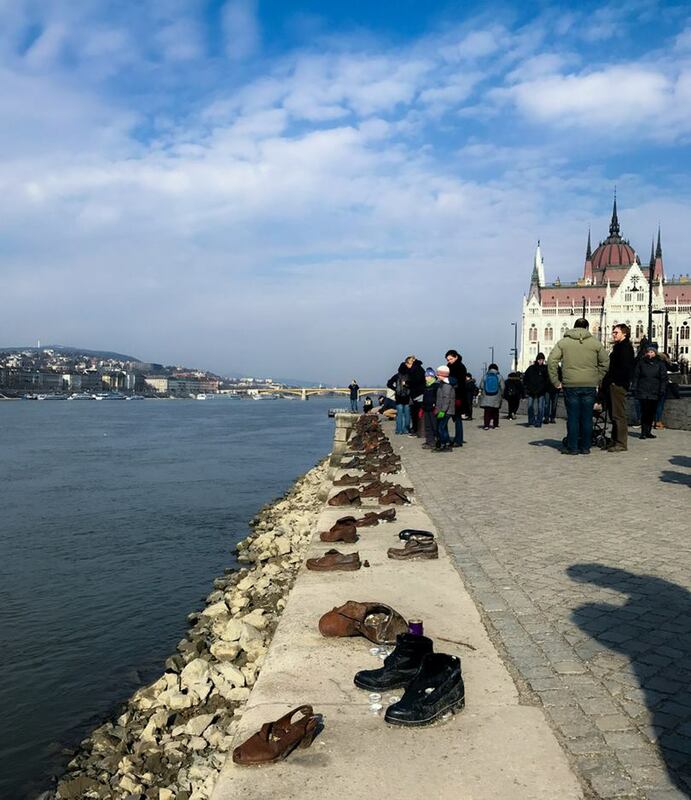 Not only the tourists and locals, it is also home to the relatives of the victims who died in the Danube to lay a wreath and remember the dead.